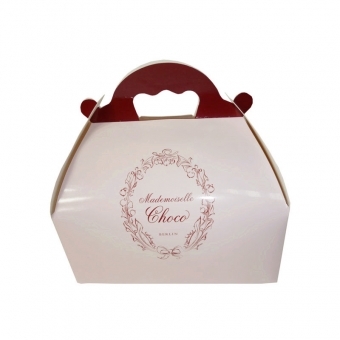 Made of high quality solid bleached board, these flat packed chocolate boxes can be made in a wide variety of sizes, colors and finishings. 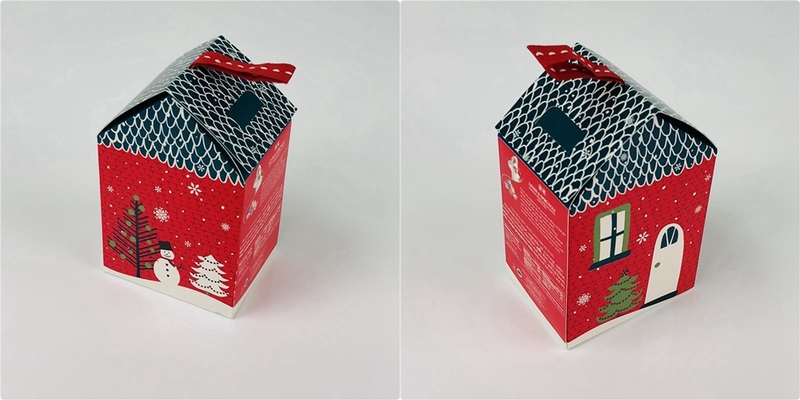 The house shaped carton boxes are white inside and CMYK +2PMS printed outside and have a smooth, matte finish. Essential factors of Christmas such as white snowman, Christmas tree and a warm house all printed and finished on the packaging. 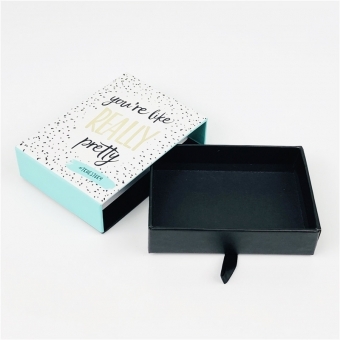 The whole appearance will definitely stands out from the Christmas gift boxes range. 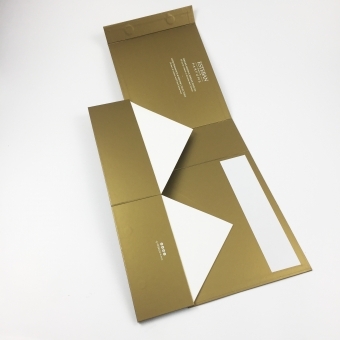 Logo is gold hotstamped and embossed on box front and glossy spot UV look just shine your eyes. 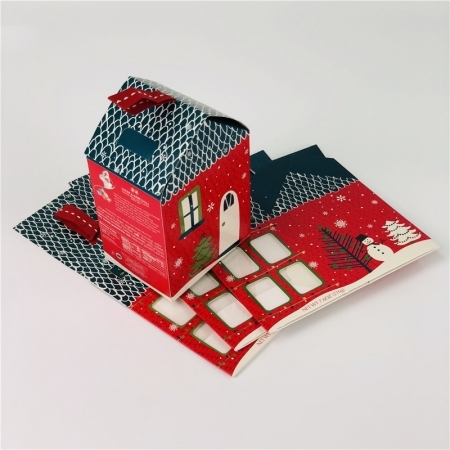 With transparant PET windows you will see part of the products which gains lots of fun and suprising. 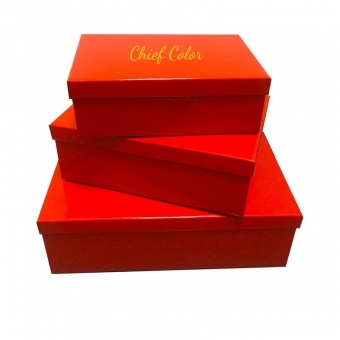 Each box has adorable red grosgrain ribbons added to top of box. 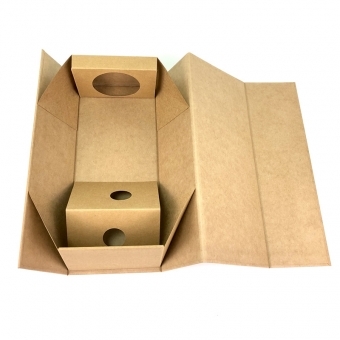 Such designs of auto-locked bottom paper boxes will sell and protect your goods at the same time. 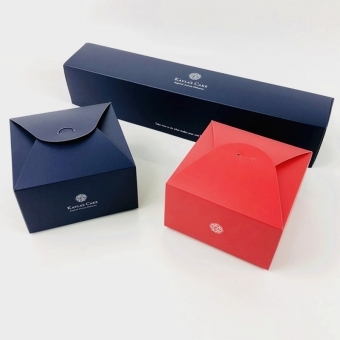 A good packaging will add value to the product itself. 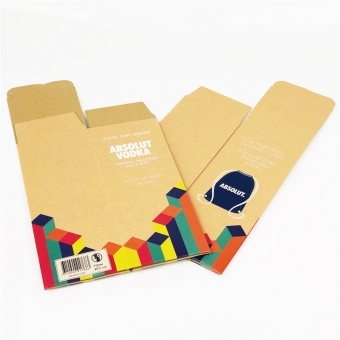 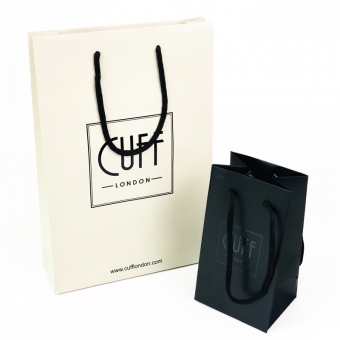 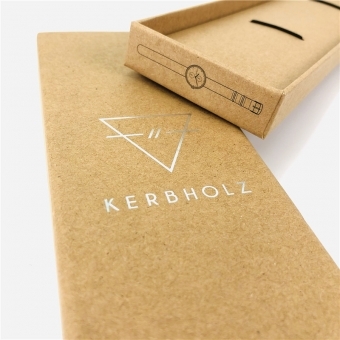 We are right here for helping you to do your own packaging! 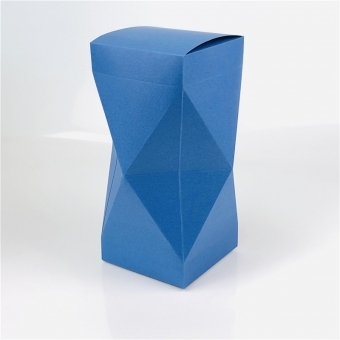 No matter what kind of paper material the packaging is, what finishing it has, what it is used for, we will provide our professional advice as long as you need. 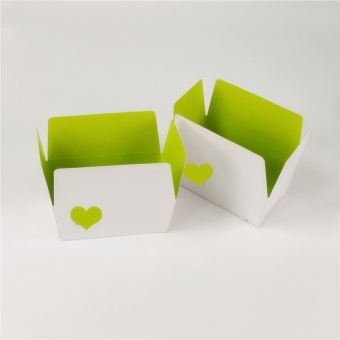 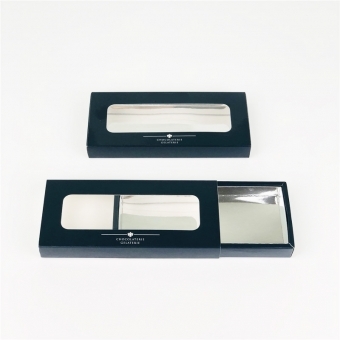 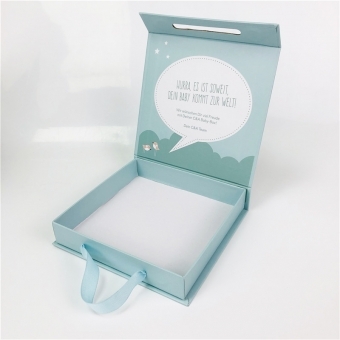 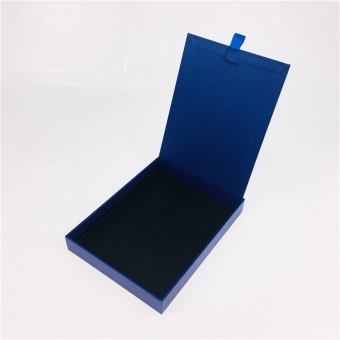 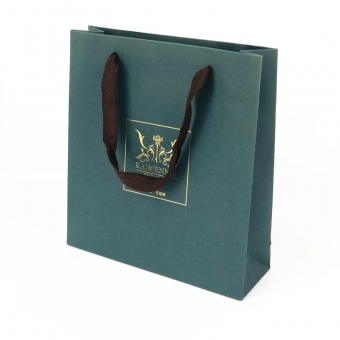 Rigid gift boxes with sideway folding do not have size limitation. 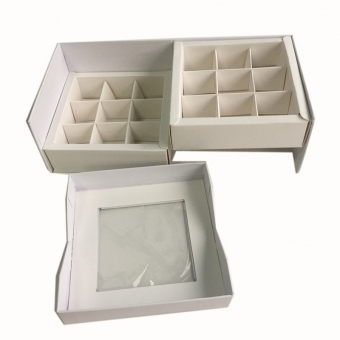 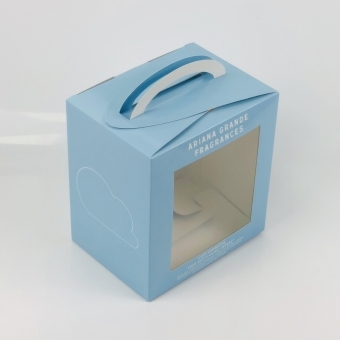 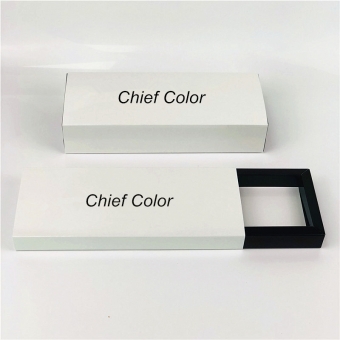 We can custom printed the logo on the collapsible cosmetic boxes and fold flat storage boxes.